Michael Pence, Pope Francis, Pope Tawadros, Middle East persecution, SDAs, etc. U.S. Vice President Mike Pence says the State Department will no longer fund “ineffective” U.N. relief efforts for persecuted and religious minorities in the Middle East, and instead pay for them directly through the U.S. Agency for International Development. Pence did not give specifics about which countries are involved, the timing of the change or how much money would be shifted from U.S. contributions to the United Nations. “My thoughts turn in a particular way to those Christians who in our day face grave trials and sufferings, enduring persecution for the name of Jesus,” Pope Francis said this to a delegation from the Church of Scotland on Thursday, Oct. 26, 2017, in the Vatican. Francis recalled that today’s meeting took place during the fifth centenary of the Reformation, which he joined in commemorating last year in Lund, Sweden, Oct. 31-Nov.1, 2016. For so long we regarded one another from afar, all too humanly, harbouring suspicion, dwelling on differences and errors, and with hearts intent on recrimination for past wrongs. My thoughts turn in a particular way to those Christians who in our day face grave trials and sufferings, enduring persecution for the name of Jesus. So many of them bear a heavy cross as they profess their faith, many to the point of martyrdom. Their witness impels us to persevere, with love and courage, to the end. Our dialogue directed to full unity, our witness and our shared service, our commitment to pray for one another and to overcome the wounds of the past: these are also a response that is owed to them, within this great “we” of faith. It is my prayerful hope that the journey to visible unity will continue daily and bear rich fruits for the future, as it has in the recent past. The Catholic Church, especially through the Pontifical Council for Promoting Christian Unity, has engaged for decades in a fruitful cooperation with the Church of Scotland and the World Communion of Reformed Churches, and desires to continue on this path. 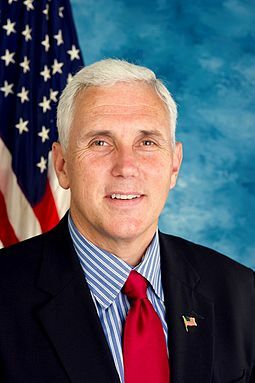 Michael Pence considers himself to be an “Evangelical Catholic.” He has lauded his Roman Catholic upbringing combined with his becoming an evangelical. Pope Francis, of course professes Roman Catholicism, but with options for non-Catholics. And when Francis spoke today, he tied his comments in with the coming 500th anniversary of the Reformation and his ecumenical plans. He is not alone in this. “Never in the 112 years history of this Evangelical church building in the center of the German capital has the colorful variety of Christian faith been more obvious,” wrote Katja Dorothea Buck a journalist who covers religion and politics in Germany. “Prayers, lectures and hymns were performed in Aramaic, Syriac, Armenian, Coptic, English and German. Ethiopian, Armenian, Syrian and Coptic church choirs contributed with their respective liturgical music. “Thousands of people have been killed. Many people had to endure martyrdom. Hundreds of churches were destroyed. We are grateful that we were able to tell our story,” the patriarch said. …”We are thankful to be invited to celebrate with the German Evangelical Church the 500 years of Reformation which brought many positive elements,” Afrem noted. The persecution of the Catholics, Orthodox, Copts, Protestants, and others in the Middle East is wrong and terrible. Those affected have long been in my prayers. But the solution is not the type of ecumenical unity that leaders of these groups are working towards. Their meetings and plans remind me of the efforts of the Roman Emperor Constantine, who arose around a time of persecution. Constantine the Great… Constantine can rightfully claim the title of Great, for he turned the history of the world into a new course and made Christianity…the religion of the State… it is easy to understand that many of the emperors yielded to the delusion that they could unite all their subjects in the adoration of the one sun-god who combined in himself the Father-God of the Christians and the much-worshipped Mithras; thus the empire could be founded anew on unity of religion. Even Constantine…cherished this mistaken belief… Could not Sol Deus Invictus, to whom even Constantine dedicated his coins for a long time, or Sol Mithras Deus Invictus, venerated by Diocletian and Galerius, become the supreme god of the empire? Constantine may have pondered over this. Nor had he absolutely rejected the thought even after a miraculous event had strongly influenced him in favour of the God of the Christians… As pontifex maximus he watched over the heathen worship and protected its rights. …It is true that the believers in Mithras also observed Sunday as well as Christmas. Consequently Constantine speaks not of the day of the Lord, but of the everlasting day of the sun. … A law of 333 commanded the state officials to enforce the decisions of the bishops, a bishop’s testimony should be considered sufficient by all judges and no witness was to be summoned after a bishop had testified. (Herbermann C., Georg Gp. Constantine the Great. The Catholic Encyclopedia. Vol. 4. Nihil Obstat. Remy Lafort, Censor. Imprimatur. +John M. Farley, Archbishop of New York. New York: Robert Appleton Company, 1908). Constantine had an interfaith agenda and ended up combining Mithraism with a profession of Christianity (see also Do You Practice Mithraism? )–he used a council to get some of that accomplished and state pressure for other aspects of his interfaith/political unity project. He started off by encouraging soldiers to put crosses (see also What is the Origin of the Cross as a ‘Christian’ Symbol?) on their shields and fight–these soldiers were NOT Christian (see also Military Service and the Churches of God: Do Real Christians Participate in Carnal Warfare or Encourage Violence?). After winning the battle of Milvian Bridge and improperly claiming he saw Jesus, he then (combined with political and economic pressure) was able to get the Greco-Roman faiths to accept his views of participation in carnal warfare. He legalized Christianity in 313, but later authorized persecution against those who did not agree with ‘Constantinian Christianity’ (Edict Against Heretics, 332), including those who held to the original Christian faith (see Persecutions by Church and State). Emperor Constantine worshiped his ‘god of fortresses.’ The Bible prophesies that another (the European King of the North) will do so as well–this leader will rise up within this century! And despite claiming peace, this leader will also persecute those who hold to the true Christian faith. Furthermore, understand that the Bible shows that a compromised religion based in the city of seven hills will encourage his activities for a time (Revelation 17). The interfaith agenda Pope Francis and others advocate will not lead to lasting peace. It may lead to temporary peace (cf. Daniel 9:27), but sudden destruction will come one day per 1 Thessalonians 5:3. The interfaith movement is based upon a crooked path as it does NOT hold to the necessity of Jesus for salvation (Acts 4:10-12), nor does the ecumenical movement actually advocate living according to the way that He and early Christians taught. Saint Nelios the Myrrh-Gusher (died 1592): During that time the Eighth and last Ecumenical Synod will take place, which will satisfy the contentions of the heretics…(Tzima Otto, H. The Great Monarch and WWIII in Orthodox, Roman Catholic and Scriptural Prophecies. Verenikia Press, Rock Hill (SC), 2000, p. 111). By satisfying “heretics,” clearly this council is prophesied to compromise and change the religion, which will be called “Catholic” according to other such predictions. Apparently the “non-Christian nations” will be those that do not desire to be part of the ecumenical church that is to form. But the Emperor mentioned above sounds like the final King of the North of biblical prophecy. Like the King of the North and Emperor Constantine, this Emperor (often called ‘the Great Monarch‘ is Roman and Eastern Orthodox Catholic prophecies) will be a warrior. Sadly, the interfaith and ecumenical agenda will temporarily succeed (cf. Revelation 13:4,8). 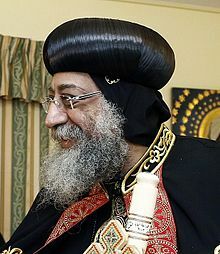 Pope Francis is an ecumenically-oriented pontiff, and we have seen more ecumenically-oriented Orthodox leaders the past several years than have been seen in centuries. Many seem to have similar objectives. Even the head of the United Nations supports their agenda (see United Nations: Humankind’s Last Hope or New World Order?). The end time ‘New Babylon’ is in the process of forming. Monk Leontios (died 543): Rejoice, oh most unhappy one, oh New Babylon!…You, who are the New Babylon rejoice now on behalf of Zion! New Babylon, dance, bounce and leap greatly, make known even those in Haydes what a Grace you have received. Because that peace which was yours to enjoy in times past, and which God has deprived you of in course of battles, receive it once more from the hand of an Angel…oh, the City of Seven Hills the dominion will be yours. (Tzima Otto, H. The Great Monarch and WWIII in Orthodox, Roman Catholic and Scriptural Prophecies. Verenikia Press, Rock Hill (SC), 2000, pp. 82-83). A video sermon is also available about this: Do You Know That Babylon is Forming? These ecumenical calls and next week’s Reformation anniversary are steps in that direction. Watch also: Pope Francis’ Celebration of Reformation’s 500th Anniversary. Lutherans Heal the Prophetic Deadly Wound; Will Adventists Follow? “Lutherans joint communion with Catholics next week celebrates the healing of a ‘deadly wound’ on the 500th anniversary of Luther’s protest, says Dr. Richard Ruhling, author on current events, citing the Bible’s prophecy of this for those who wish to understand its meaning, Revelation 13:3. Ruhling offers following explanation. The book of Daniel uses beasts to represent nations like a bear or eagle represent Russia or the US. In Daniel 7, the lion, bear, leopard and dragon were a prophetic picture of Babylon, Medo-Persia, Grecia and then Rome which had a little horn grow out of it, representing the papacy that survived in spite of a deadly wound to the beast in Rev 13. Revelation 13 shows it as an amalgamation of Daniel 7—mouth like a lion, feet like a bear, looked like a leopard, and had the total of 7 heads and 10 horns from Daniel 7. The healing of the deadly wound was also seen as every living US president bowed before the casket of a dead John Paul. Seventh-day Adventists point to the Ten Commandments in Exodus 20 to show that the Sabbath is part of the moral law (verses 8-11), and not nailed to the cross because Christ told his followers to pray that their flight (decades later) would not be on the Sabbath day, Matthew 24. The book of Acts has only one reference to “the first day,” but nine to the Sabbath, two being “every Sabbath” as the practice of the apostles was for its observance. With no text showing that Sunday is ‘the Lord’s day,’ it’s a mystery how Rome could pull off their blessing the day of pagan worship and their claim of apostolic succession and boast of tradition as authority over the Bible. Ellen White (a founder 40 years earlier) replied, “How is the faithful city become a harlot?”—a reference to the above text in Revelation. Testimonies for the Church, Vol 8, p 250. The Christian does not need to do Jewish ceremonies or offer sacrifices, but can honor those appointed times, mo’ed as Christ did when He instituted communion service in place of Passover. Christ’s wedding parables all have Passover imagery. He will be looking for an intelligent bride; those who seek to understand His words, like we want our spouses to please us in marriage. So, there are SDAs who have concerns as well about the ecumenical direction of the world and their church. It is my hope and prayer that SDAs, Orthodox Catholics, Roman Catholics, Protestants, and others will wake-up and return to the faith once for all delivered to the saints (Jude 3). Despite biblical and other warnings, Greco-Roman leaders and certain others seem determined to help fulfill prophecies that warn against what they are trying to do (watch also Do You Know That Babylon is Forming?). Those who truly believe the Bible will have no part of it. Beware: Protestants Going Towards Ecumenical Destruction! What is going on in the Protestant world? Are Protestants turning back to their ‘mother church’ in Rome? Does the Bible warn about this? What are Catholic plans and prophecies related to this? Is Protestantism doomed? watch the video Charismatic Kenneth Copeland and Anglican Tony Palmer: Protestants Beware! and World Council of Churches Peace Plan. Do Certain Catholic Prophecies About Antichrist Warn Against Jesus? Will the final “Anti-Christ” be Jewish, insist on Saturday, be opposed to the trinity, and bring in the millennium? Certain Catholic writings indicate this, while others take a different view, but what does the Bible show? A related sermon is Will Jesus Christ be called the Antichrist? India and the Beast of Revelation 13 Do biblical, Catholic, and even Hindu prophecies suggest that many in India will follow, for a while, the Beast and False Prophet/Antichrist? Here is link to a related YouTube video Will People in India Worship the Beast of Revelation 13? Military Service and the Churches of God: Do Real Christians Participate in Carnal Warfare or Encourage Violence? Here are current and historical perspectives on a matter which show the beliefs of the true church on military participation. Is war proper for Christians? A related sermon would be: Christians, Violence, and Military Service. What is the Origin of the Cross as a ‘Christian’ Symbol? Was the cross used as a venerated symbol by the early Church? A related YouTube video would be Origin of the Cross. This entry was posted on Thursday, October 26th, 2017 at 3:00 pm	and is filed under Religious News. Pope Francis’ ecumenism includes atheists! BibleNewsProphecy: Do You Know That Babylon is Forming?